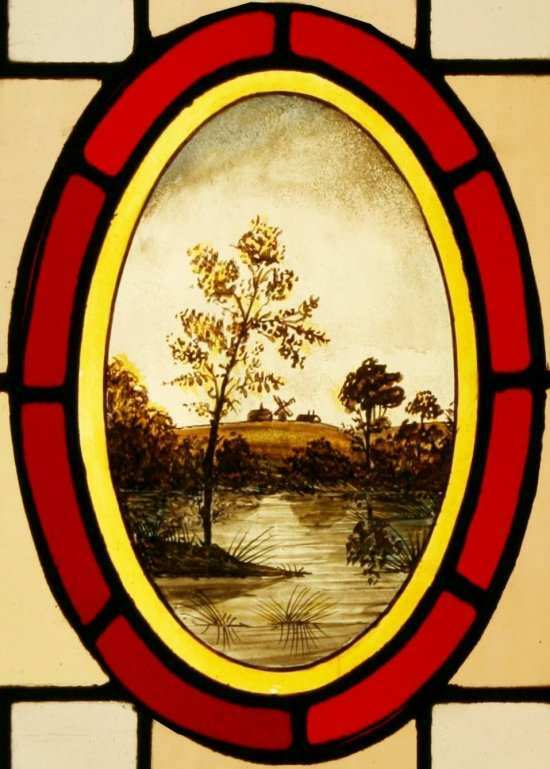 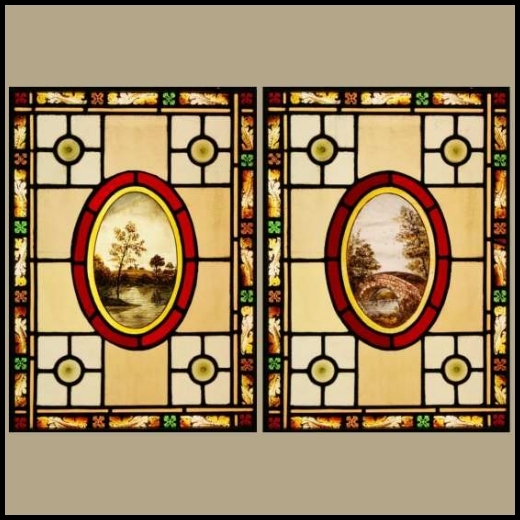 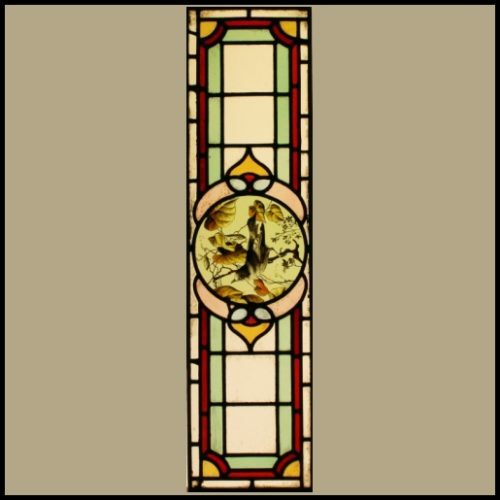 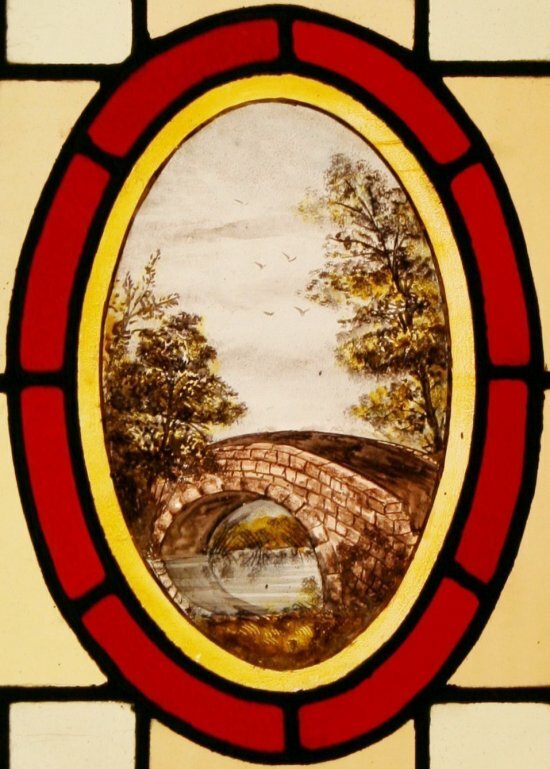 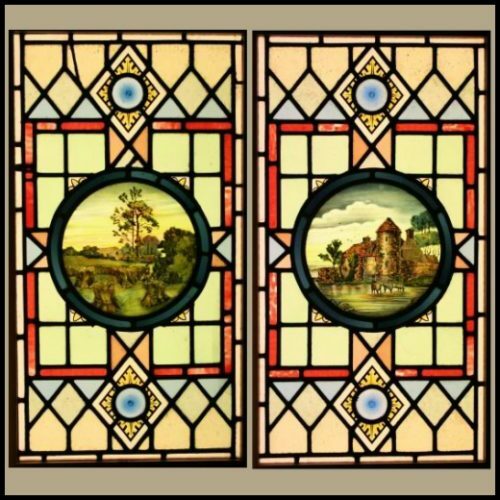 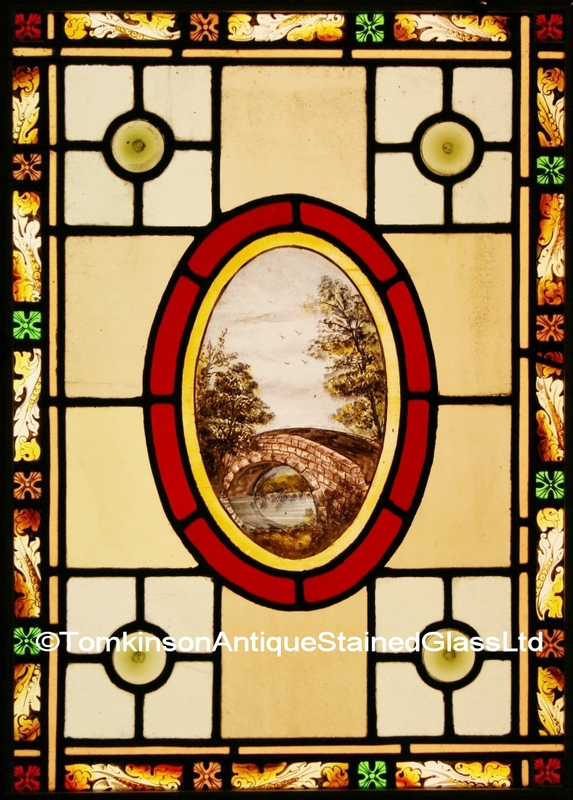 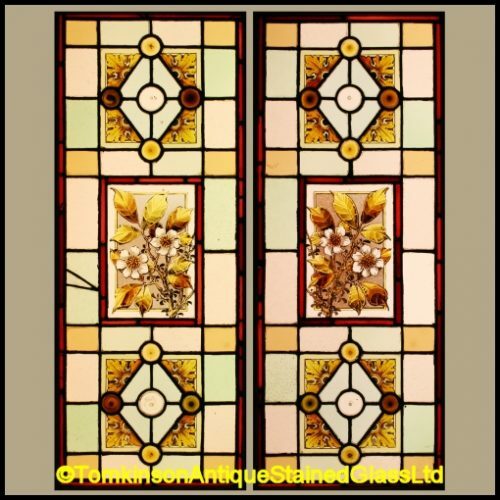 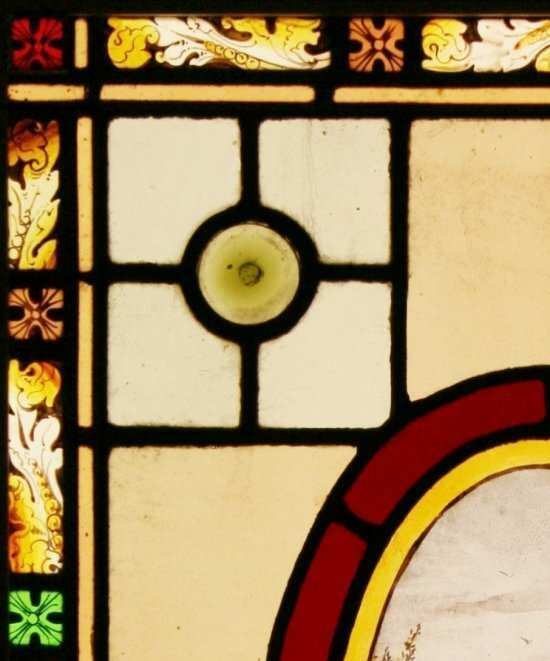 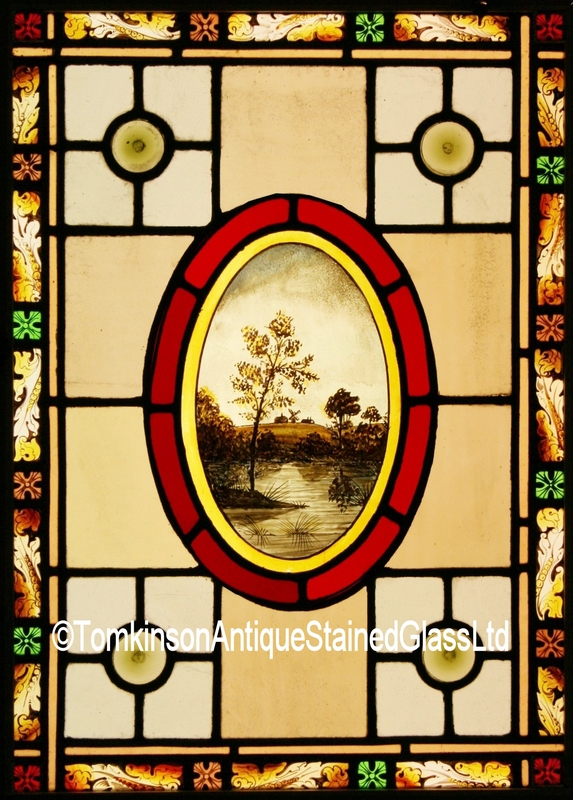 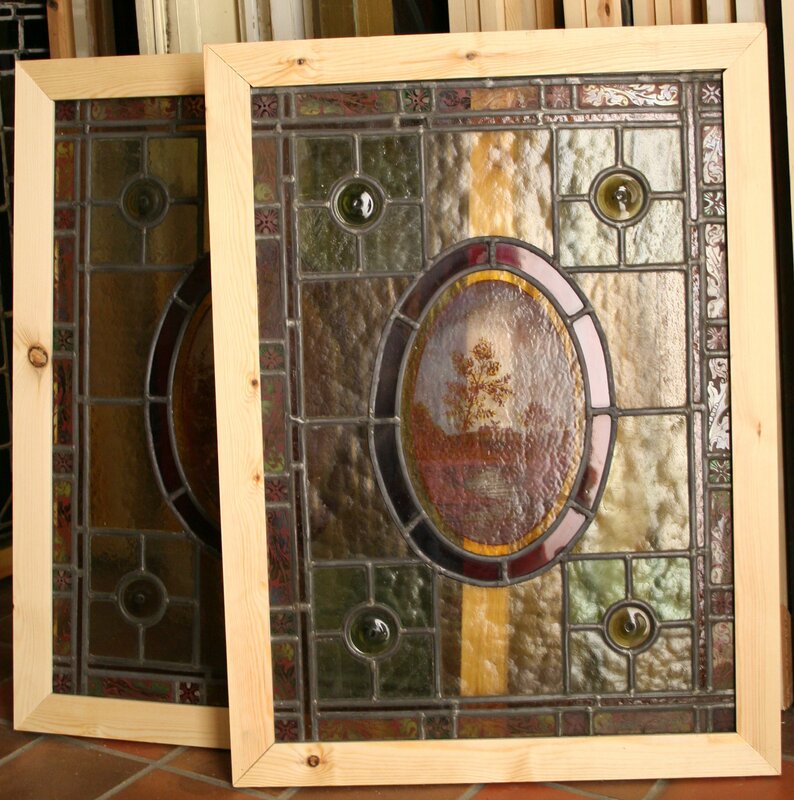 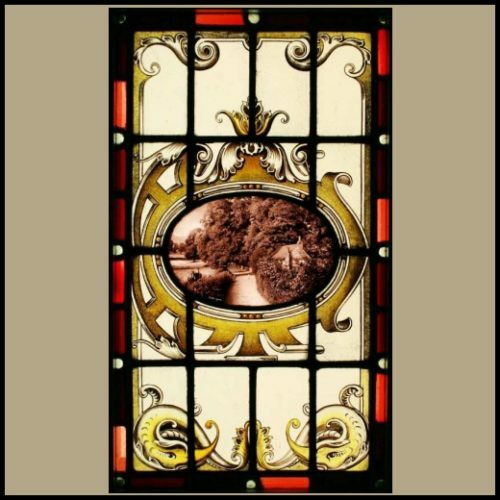 Two Edwardian stained glass windows, each leaded with obscure pastel coloured glass and central oval panels hand painted depicting Country scenes. 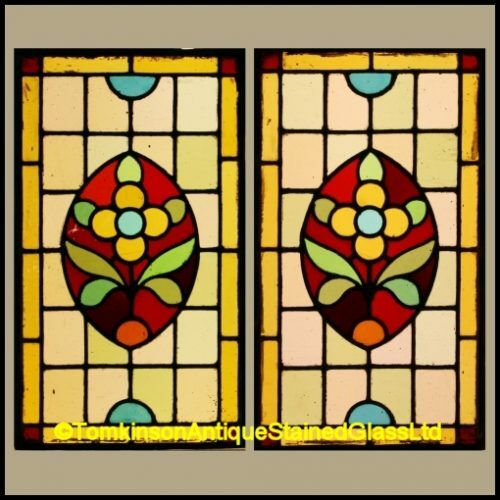 Around is an Acanthus leaf and Flower border and 4 Yellow Bull’s-eye bullions. 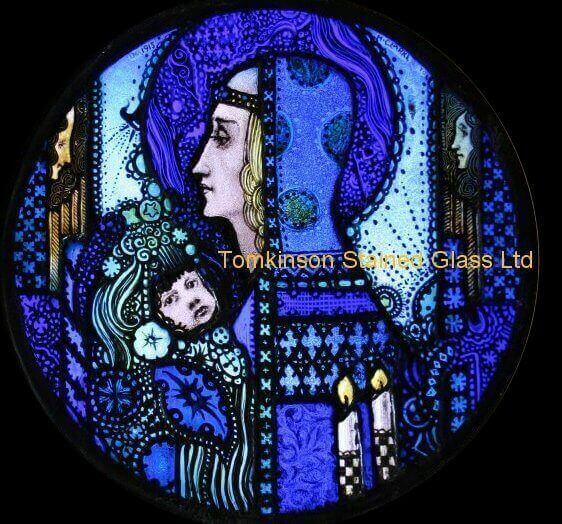 Glass and lead is in excellent condition.